The project has been recognized as a best practice! 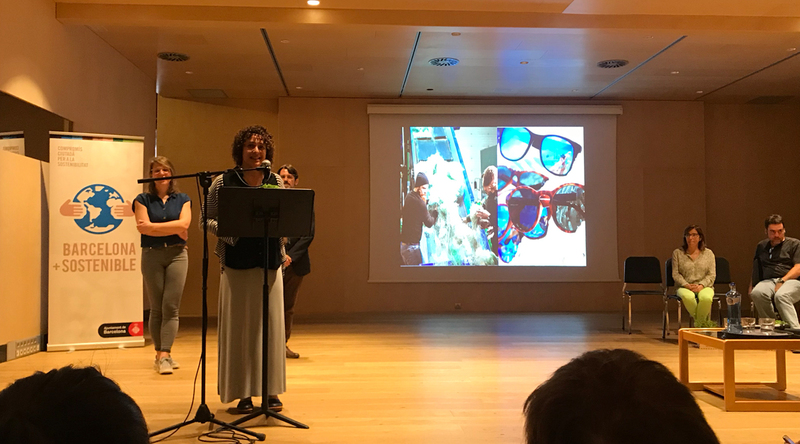 On the occasion of the World Environment Day, on 5th of June, the Barcelona City Council presented 10 best practices considered as ‘Good ideas for changing the world’, and amongst those the project ‘Circular Design: Learning for Innovative Design for Sustainability’ was officially recognised. During the presentation, held at Fàbrica del Sol and organised by Barcelona + Sostenible network , Gemma Tejedor, (UPC) highlighted the alignment of the project with European policies in the area of circular economy, and the shared aim to find joint solutions that help to minimize the environmental impact associated with consumption. This recognision reinforce the project’s mission and all the role of all partners, who work to disseminate the critical role of design to minimize the environmental impact of consumption, reduce the use of resources and rethink the way our societies work.